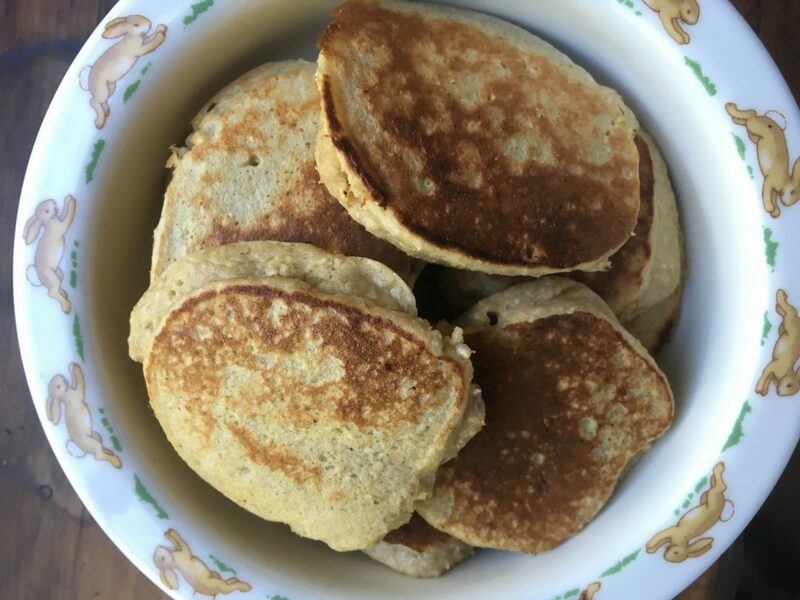 Three ingredient pancakes for baby. These are LB’s go to favourite snack at the moment. He can hold them easily and they hold together really well. Perfect for an eleven month old who wants to do it himself! Three ingredients in the blender, It doesn’t get any easier than that. 2/3 cup oats, 1 banana and 2 eggs. All organic. You may need to add a little water to get the batter consistency, depending on how ripe the banana is. Blend together then fry spoonfuls in a hot (butter greased) skillet. Fruitful baby porridgeFinger food savoury muffins.